As a British American living in Spain, all of the political upheaval and gut-wrenching stories of people being turned away at the polls in America is extremely frustrating. When voter disenfranchisement happens to you; you experience a surreal rage! I’m an American-born British citizen, and my husband was born in Britain. We live in Spain now, so as you can imagine, the results of the Brexit Referendum are of the deepest concern to us. Being a hyper politically involved person with zero trust for the system… I always double check to make sure that my absentee ballots are received. So my husband and I emailed our council a few days ago to verify this. The reply we received informed us that we had been removed from the voter register! Why on earth were we removed from the voter register? And if we were not on the register, why did we receive ballots just two weeks ago? We discovered that we had been incorrectly registered as citizens of Luton Council rather than as overseas voters last resident in Luton Council. 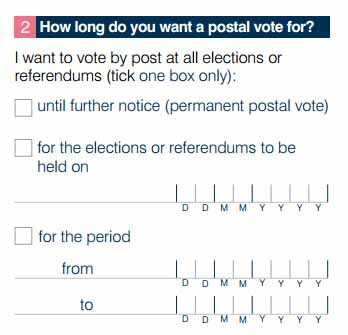 When filling out the postal ballot application, which was all we thought was necessary, we had checked that it was a permanent arrangement. Having received ballots for the previous two elections without a problem AND having received a ballot for the referendum, we had no indication that anything was awry! 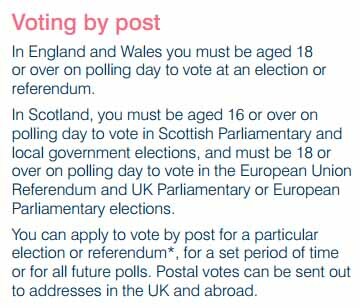 As it turns out, we should have completely re-registered when we moved, but the postal ballot application is rather misleading, suggesting that it is to be used for requesting ballots overseas (even permanently). AFTER sending us our EU referendum ballots, the council decided to verify our registrations by attempting to contact us at our previous address. Of course, this was unsuccessful, but rather than use any of the other contact information they had for us, they just purged us from the system. Having spoken to someone at the Electoral Commission, I have been assured that at the very least, Luton Council has been inefficient and should not have removed us from the register before making an attempt to contact us at our Spanish address, which they clearly have in their data. It is true that we should have been re-registered as overseas voters, but rather than attempt to amend our registrations or notify us of the problem, we were simply deleted. Most people would assume that if they were receiving ballots, they were eligible to vote. They would also assume that if they sent those ballots back that they would be received and their vote counted. I – personally – find it incredulous that Luton Council decided to take this action AFTER sending us postal ballots by sheer coincidence. At best, it is gross incompetence. At worst, this is being done intentionally to deceive overseas voters that their votes are being counted. To add insult to injury, we discovered all of this after it was too late to re-register to vote with a postal ballot! Fortunately, and only because of technical difficulties, we managed to register just before the extended deadline to have someone vote for us by proxy. With 2.2 million Brits living in Europe who are almost certain to vote to remain, this conveniently timed voter purging is sure to affect more than just us. This degree of (deliberate?) incompetence stinks. By what “right” did they dare to delete you after not having checked with you? I doubt if they are even conscious of the extreme seriousness of their acts, and of the much greater importance of this referendum than of any general election. But I as a disfranchised British citizen abroad (46 years) am extremely glad you were finally able to re-register. The whole incompetence of the system frankly disgusts me.